When you pick up your camera and head to Venice Beach, you never know what you're going to find. 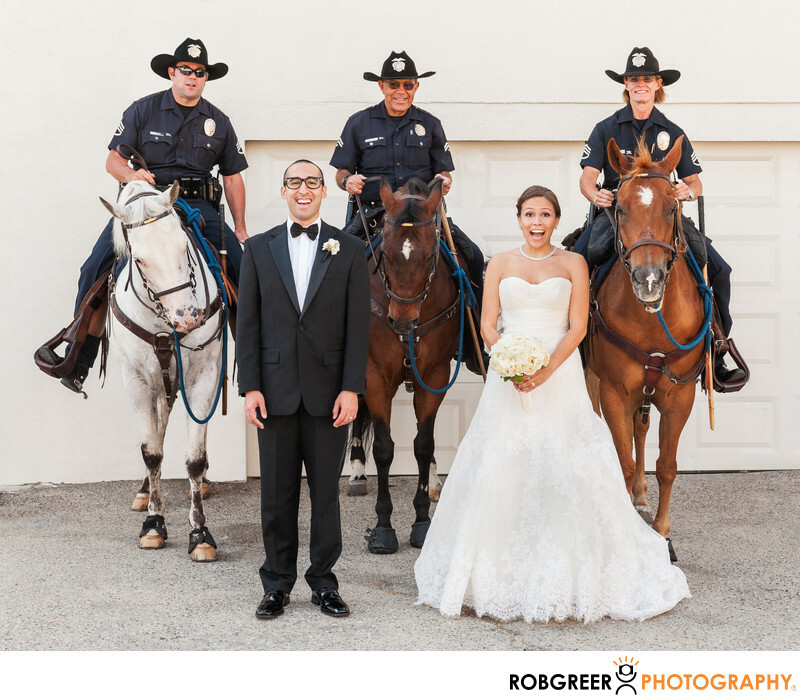 For this wedding couple who were getting married in Santa Monica, we found the police. Seeing these three officers ride by as we traversed the back alley ways, I made a quick decision and asked if they would mine posing with my bride and groom. This photograph is the result. After I took a straight photograph, I asked the bride to look surprised and this is the expression she provided. I wish we could have found a more interesting background, or even a blank wall, but I was pressing my luck as it was in getting these three officers to stop for a photo. As I think you may have Artie seen for my portfolio, I always strive to provide something different for my couples. I want my photographs to be memorable — and if I'm lucky, quirky. Venice Beach Boardwalk is located in Venice, California. Phone: (310) 399-2775. Website: http://venicebeach.com/. 1/160; f/7.1; ISO 400; 55.0 mm.